Galaxy S7 Edge Oreo update is now available for the Samsung Galaxy S7 Edge users. Android Oreo is already released for the Samsung Galaxy S8/S8+ and Samsung Galaxy Note 8 users. And Most of the Galaxy S7 Edge users are waiting for this update, now they can install the Galaxy S7 Edge Oreo update Samsung Experience 9.0 on their phone. Recently most of the Galaxy S7 Edge Vietnam users already get this update on their phone. And now the XDA member ProtoDeVNan0 ported the same ROM that you can flash on any Samsung Galaxy S7 Edge (Exynos). The build is based on the latest version of Galaxy S7 Edge leaked Oreo firmware, and it brings Android 8.0 Oreo with Samsung Experience 9.0. 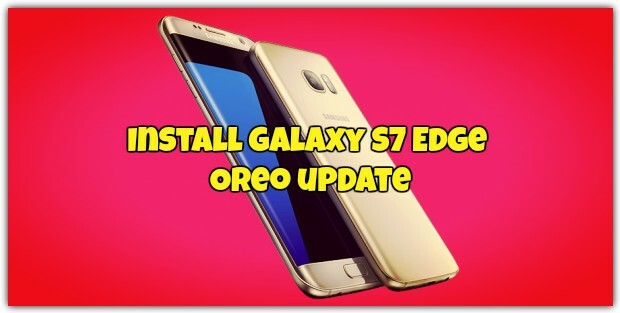 So here in this guide, we will show you how to Download Install Galaxy S7 Edge Oreo update Samsung Experience 9.0. 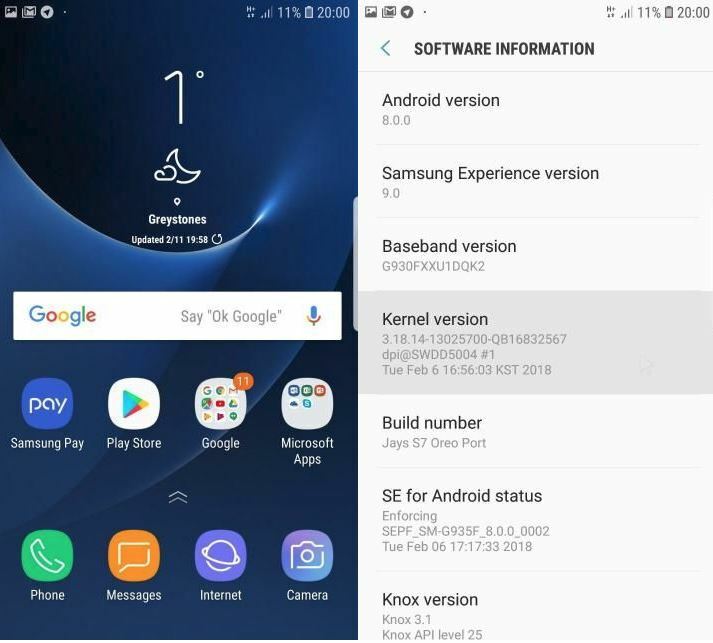 This ROM is exclusively for the S7 Edge Exynos variants, and it brings Android 8.0 Oreo with Samsung Experience 9.0 to the Galaxy S7 Edge. This is the custom ROM especially made for the S7 Edge Exynos variants and you can enjoy all the latest feature of Android OREO on this ROM. To install Galaxy S7 Edge Oreo update all you need a rooted phone with TWRP recovery. As we mentioned above this is the Custom ROM, so you need to install TWRP and Root the Galaxy S7 Edge phone first. And before following this guide do take the full backup of your Galaxy S7 Edge phone and read all the instruction very carefully and follow all of the steps by step on your phone. Also, make sure your device is running the stock Samsung firmware. And make sure that your phone has enough battery to apply this update. 1. First Root Your Galaxy S7 Edge here and Install TWRP on Galaxy S7 Edge here. If you already have done that then go the Step 2. 3. Once both the zip files are saved on your phone. Reboot your phone in TWRP recovery mode. 4. Once your Galaxy S7 Edge boot in TWRP recovery mode. Do a Factory Reset by Goto Wipe > Advanced Wipe > Select Wipe cache, Dalvik cache, System, and data and swipe to confirm it. 5. Now go back to the home page of TWRP and Tap on the Install Option. 6. Now locate the Samsung Experience 9.0 zip file that you saved on your phone. And flash latest S7 Oreo ROM on your phone. 7. Once the ROM is successfully flashed. GO back and install the NoVerity-6.0 zip file. 8. Now wipe cache & Dalvik cache again and Reboot your device. 9. Now time to Reboot the phone. Reboot device into the system. Now your Galaxy S7 Edge is running on the Android OREO. This is the fastest and easiest way to install Galaxy S7 Edge Oreo update on your phone. If you are facing some problem with this guide, then leave the comments below we will help you to fix it up. Enjoy! Does it wipe my phone? I donwloaded and installed this ROM on my device, but I faced a really big problem. My WiFi range on my phone is really low. If I move 5 metres away from my home’s router the signal drops to 1 bar or no bars! I have other devices that have no problems and have full bars while further than 5 metres! I did some research and found that custom ROMs could have problems in their WiFi range settings. So I am asking if this ROM you provided has any WiFI range issues?